D- Digger. When I find something that I really like, I dig for information about it and things around it. When I don’t know something that interests me, I really get excited to learn from others about it. I've started digging into gardening. I’m not very good. I’VE KILLED ALL MY PLANTS (giggles). (So, D for Destruction..?) And Danger! N – nimble. So, for these tunnels, I can go nimbly go onto them. But being like tiny person. I think I’m like very nimble physically, and also nimble in conversing. Not always! I definitely word vomit especially when I’m sleepy. But I think that in terms of getting to know people, I’m nimble and easy to converse with. I – Improvisation. Because as a teacher and artist, I feel many times when I plan for something, and it does not go right. And I actually like to thrive on making things on the spot and to see if they work. I also love making up characters and situations with friends. And saying ‘Yes and..’ and doing silly things! A – arts integration. I’m really passionate about bringing kinesthetic learning to young people . And incorporating the arts in a way that is highly designed, cultivated, and curated.. (Because) There were moments in my childhood I saw really amazing art that was brought into the school. And that was what I remember most about my elementary school like when we were embodying and becoming different people. Rarely arts are at the center right now, because of testing. So I’m all about showing what really matters in this world. 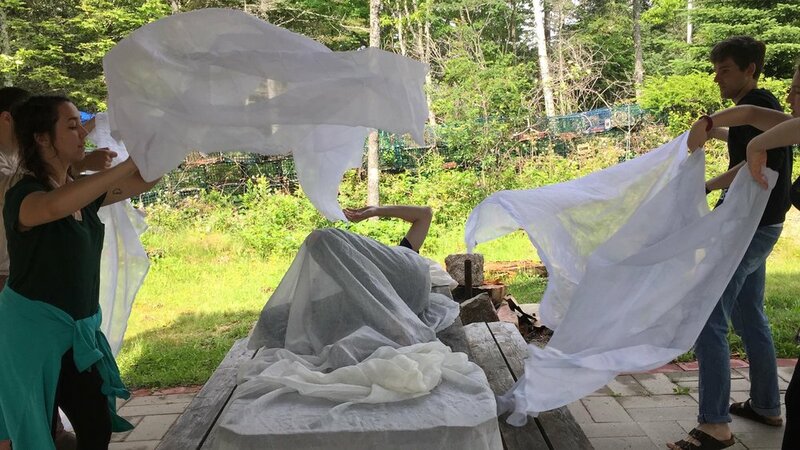 A workshop production of Roots of the Underworld at the Barn Arts Collective Residency where Danica and a team of artists began its development. 1. I’m in the midst of writing a new version of the Persephone Myth with a group of 7 artists in which she is at the center and utilizing her agency. 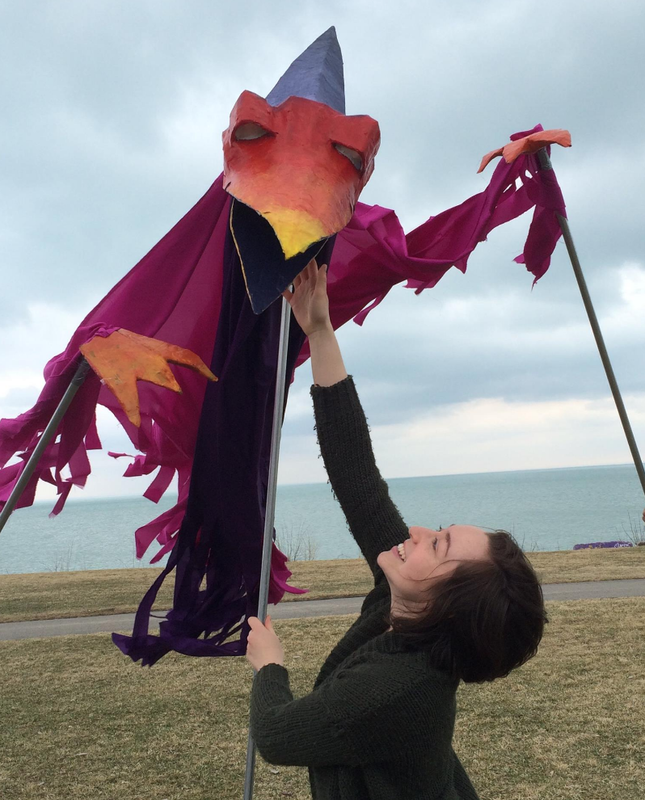 It is an outdoor promenade piece for family audiences. Ideally, it is going to be produced in Chicago, Tempe, and Nashville over the next three years. It is presented by Dog Ear Theater productions. 2.I am currently in a long distance relationship, and the way that I stay connected with my partner is through writing one minute plays on Thursday Nights together on a google doc. So, he writes one line and I write the next. For the last four months, we’ve been writing about Mina and Minka: The Crater Diving Moon Dwellers. This is a non-verbal episodic piece about their journey from the moon to Earth. We are hoping to present this show to babies and their adults in the next few years! at least 2 of these should be achieved. -Winning the McArthur Genius grant. -Or being asked to speak in front of Congress.